Tue 31:Dec - 808 DJs - Elemental - Manchester. 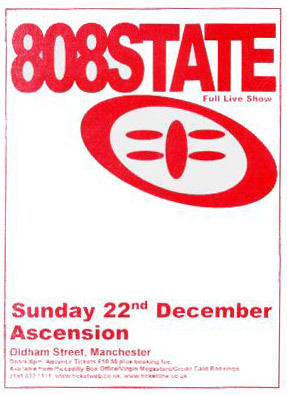 Sun 22:Dec - 808 State Live - Ascension - Album launch party - Manchester. Images & report. Fri 13:Dec - 808 DJs - Temple Bar - Dublin - Ireland. 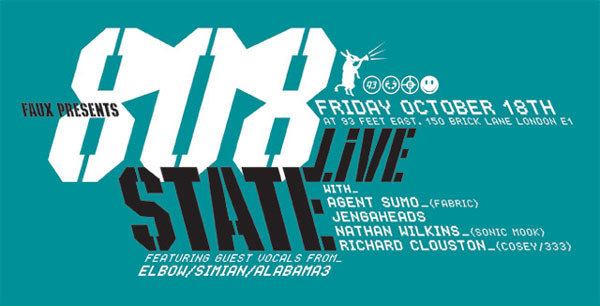 Fri 18:Oct - 808 State Live - 93 Feet East - London. Report. 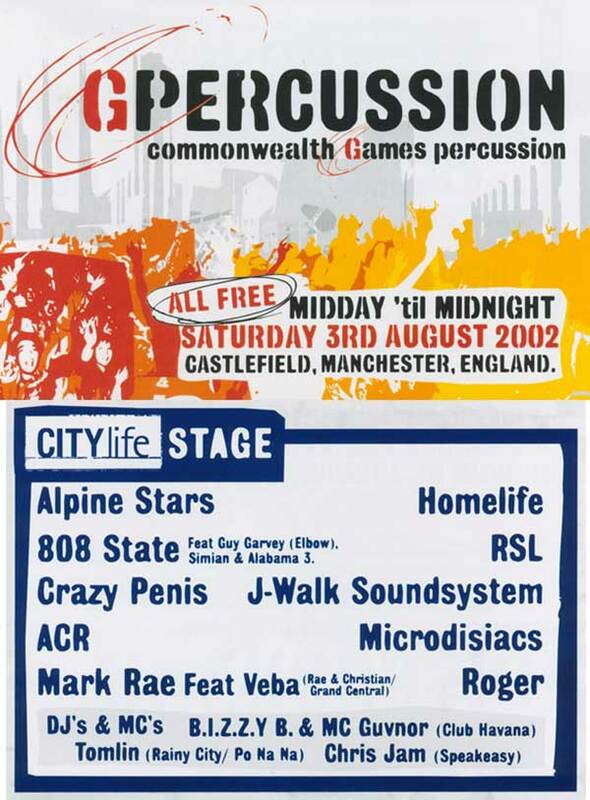 Sat 03:Aug - 808 State Live - GPercussion - Castlefield Arena - Manchester. Photos & report. 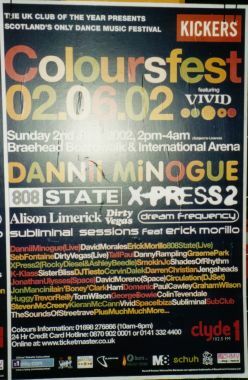 Sat 25:May - 808 DJ Darren Partington - Arches - Glasgow. Note: Unlike the flyers may want to make you believe, these are both DJ-sets only. Thu 02:May - Toolshed - Queen Elizabeth Hall - London. Book tickets here. 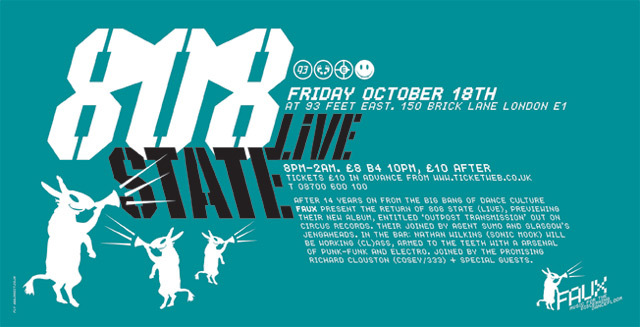 Fri 01:Mar - 808 DJs - The Bomb - Nottingham. 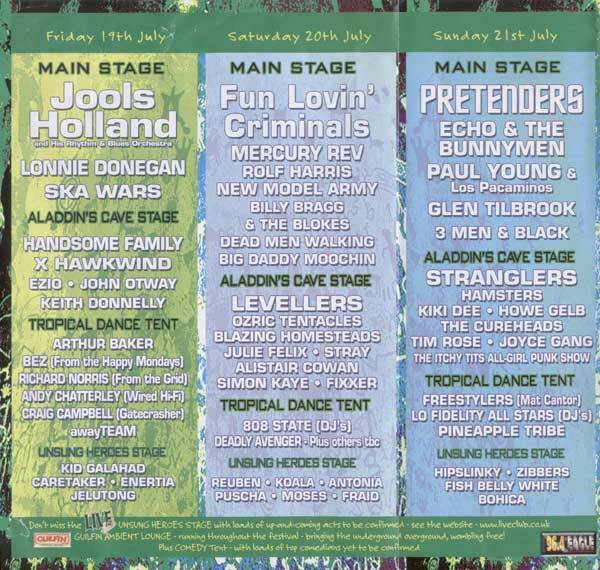 Sun 28:Jan - Homelife - MAG / Guitars Against Landmines - LOWRY - Salford, Manchester.